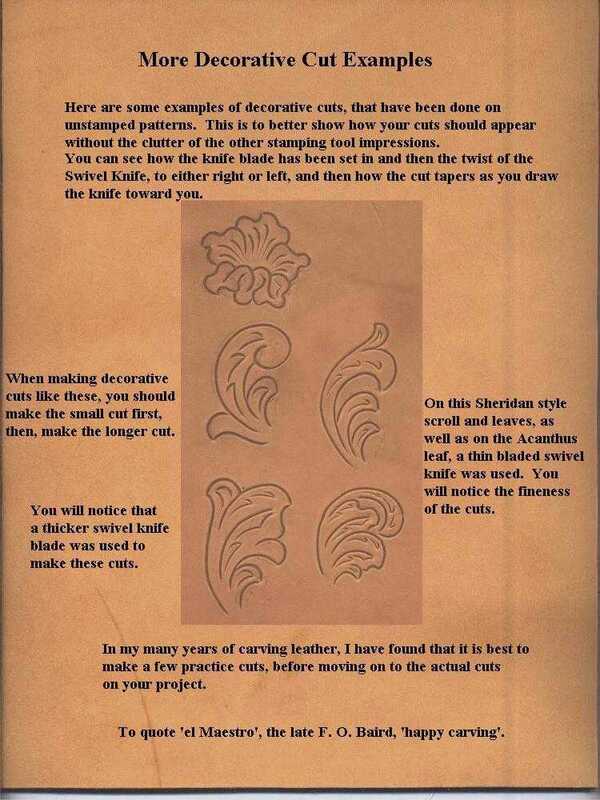 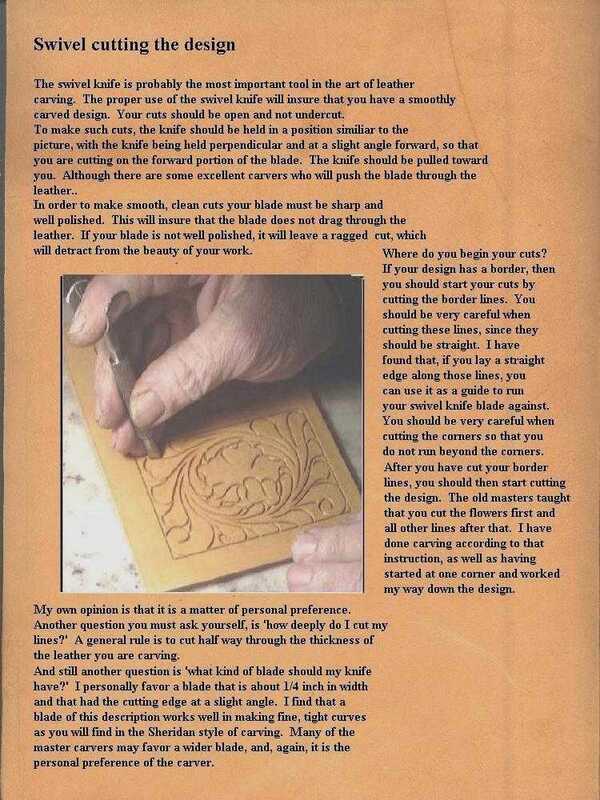 A complete primer on the basics of floral carving in both Sheridan and traditional Southwest, or Porter, style. 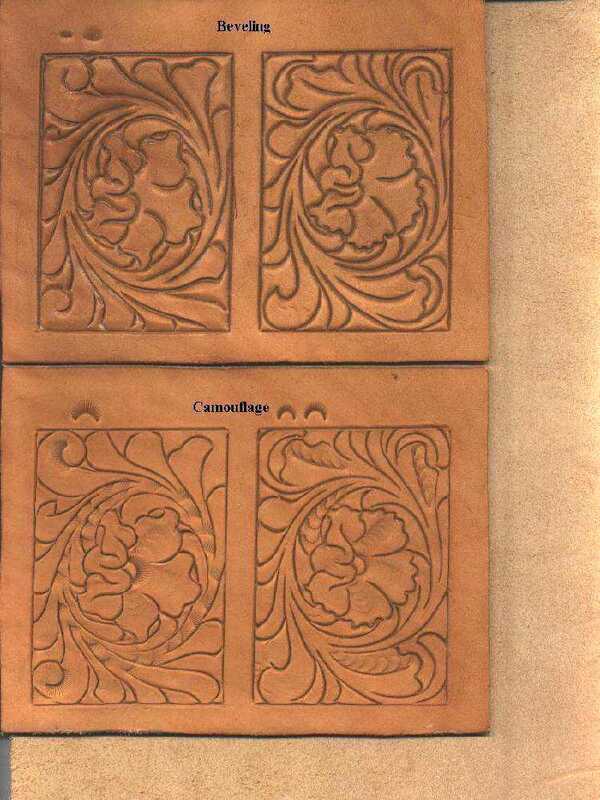 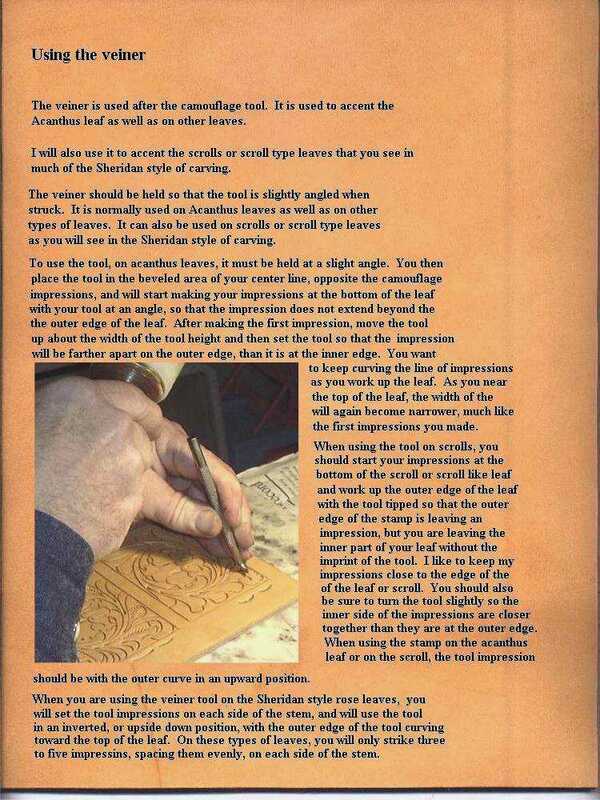 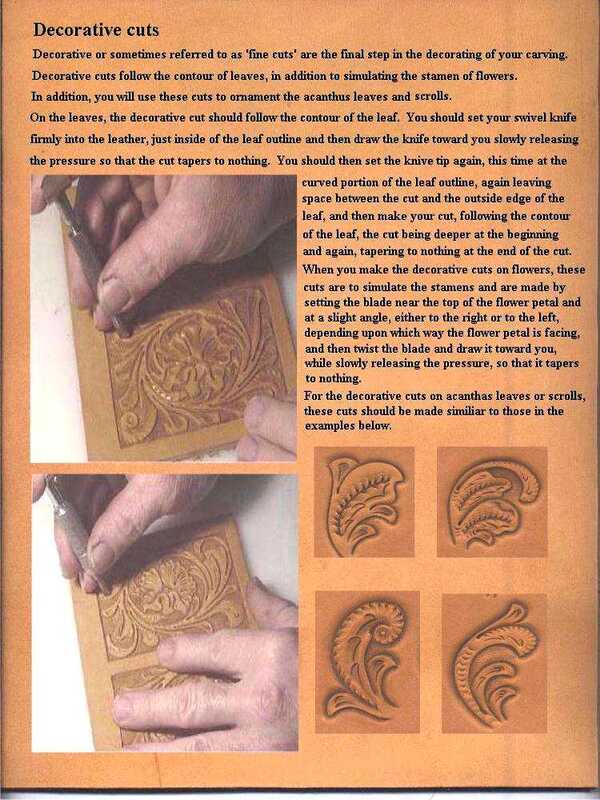 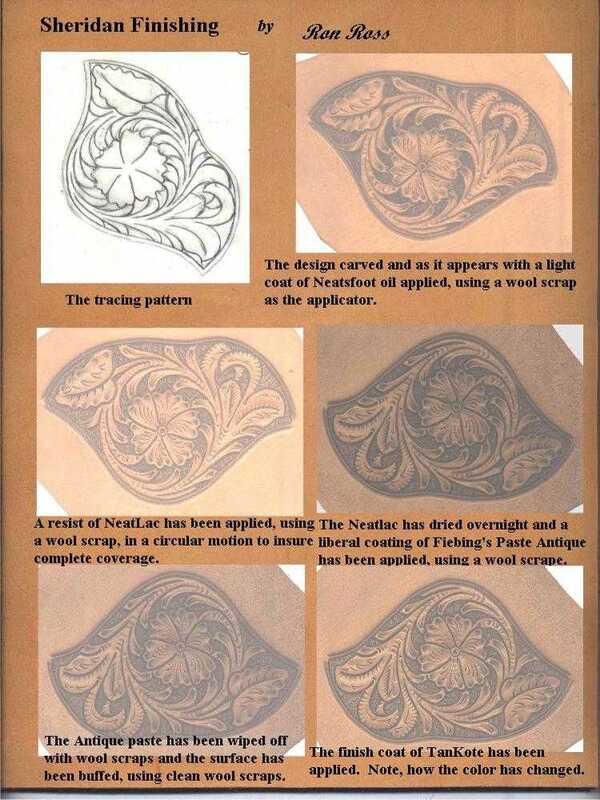 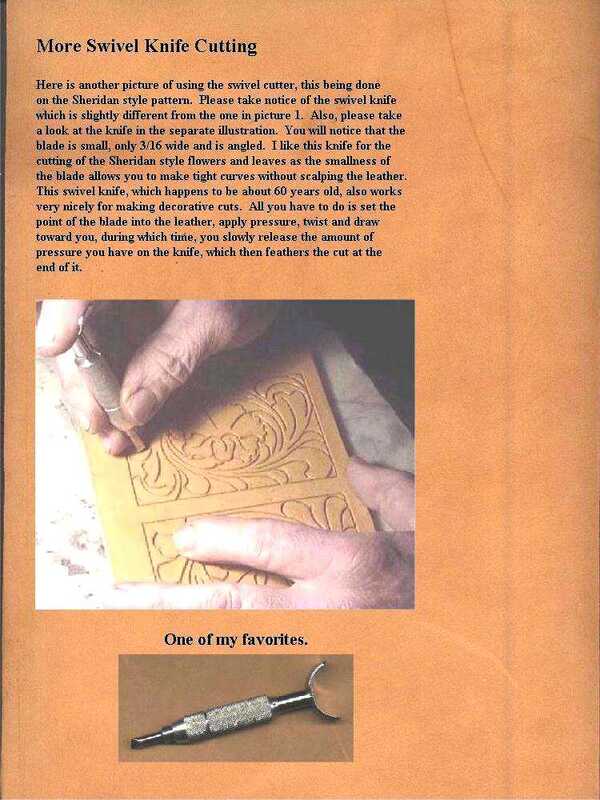 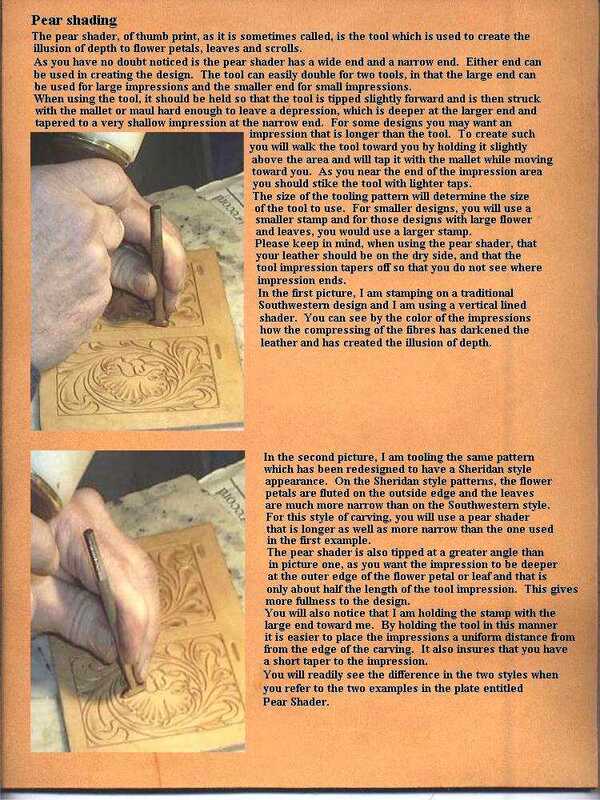 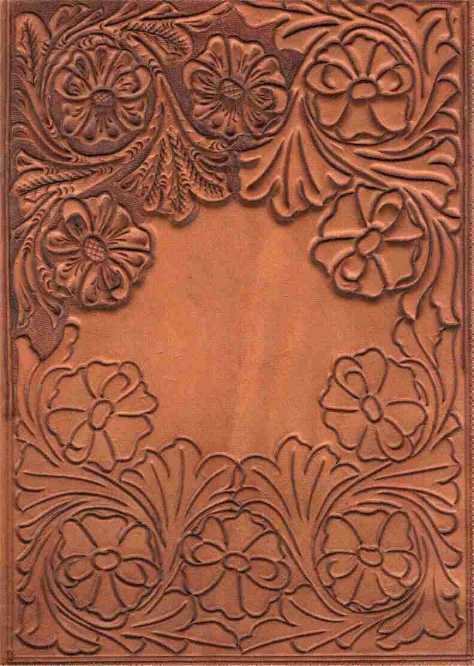 The pattern - These patterns are used throughout the series to illustrate the various steps in the carving. 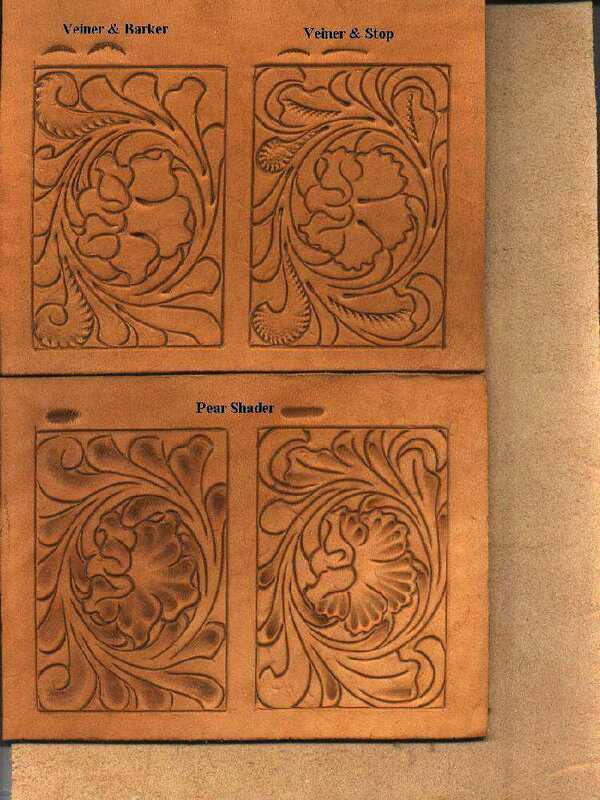 They also serve to illustrate the way the same basic pattern looks in both traditional and Sheridan styles. 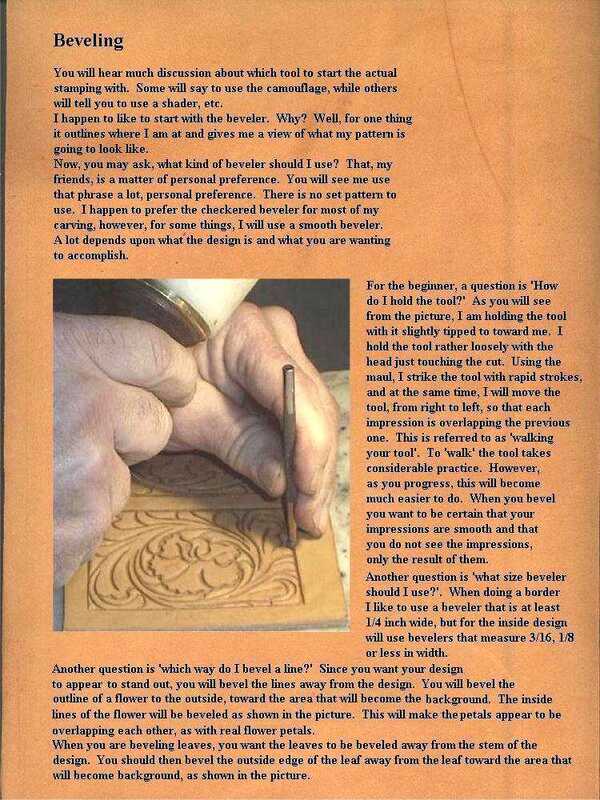 Swivel cutting the design - You have to start with a good foundation. 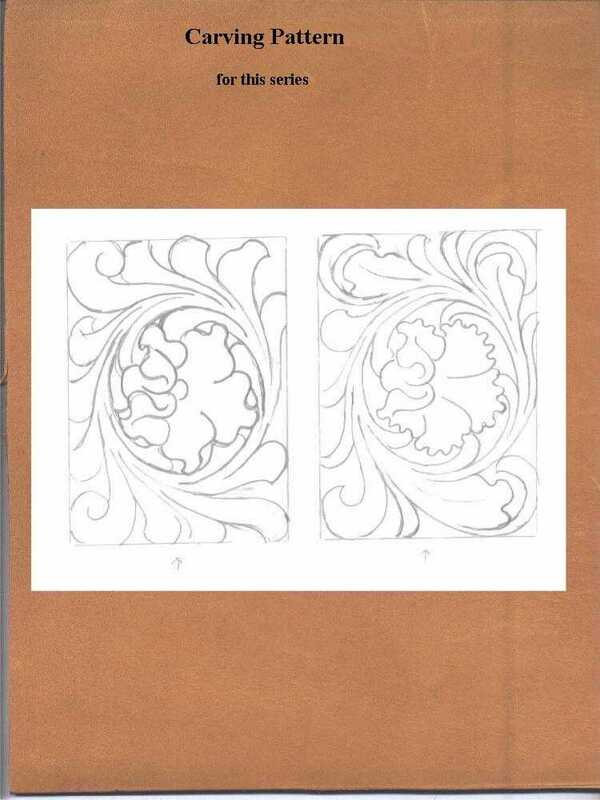 Camouflage - Adding roundness to leaves and stems. 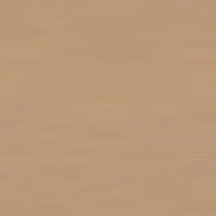 More camouflage - Differences between standard camouflage and Sheridan style. 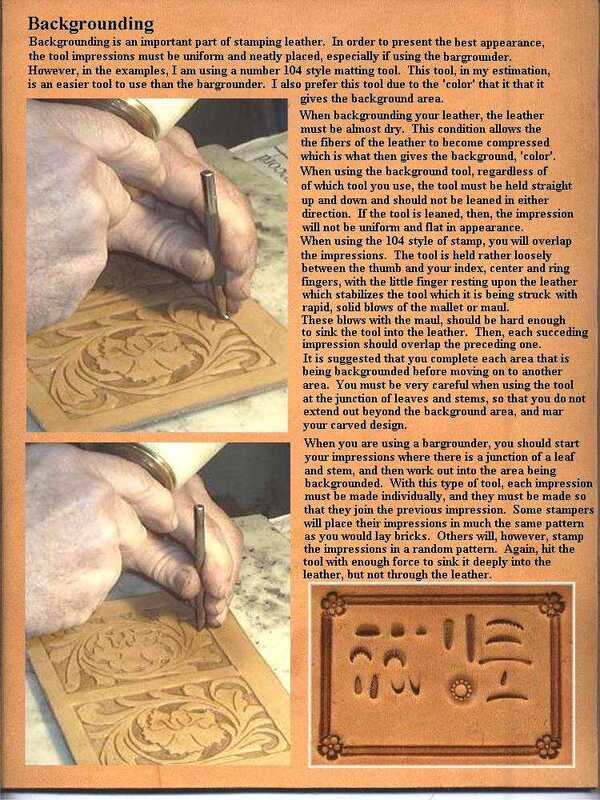 Backgrounding - Making your carving stand out. 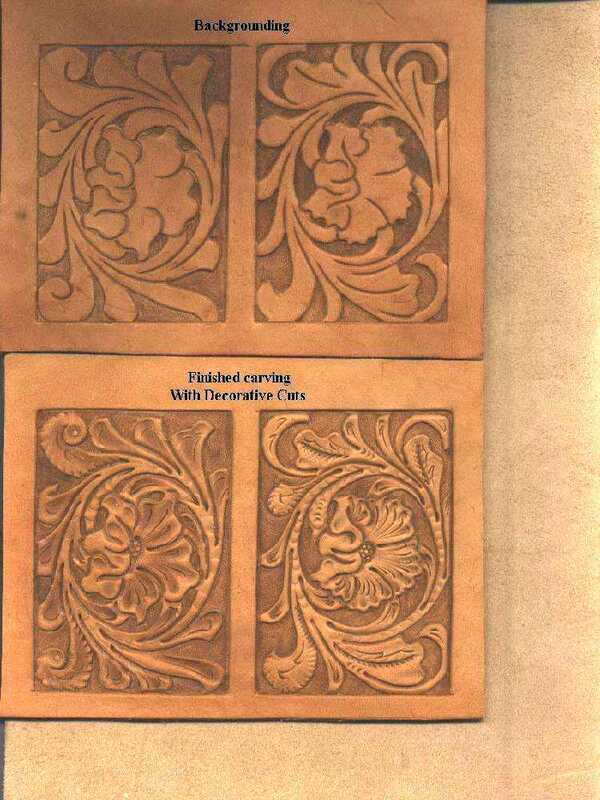 Decorative cuts - The crowning touch! 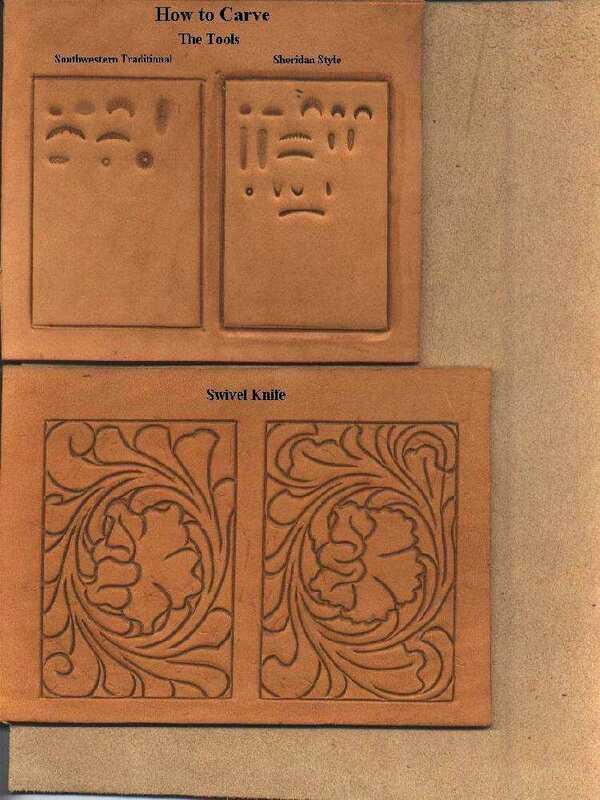 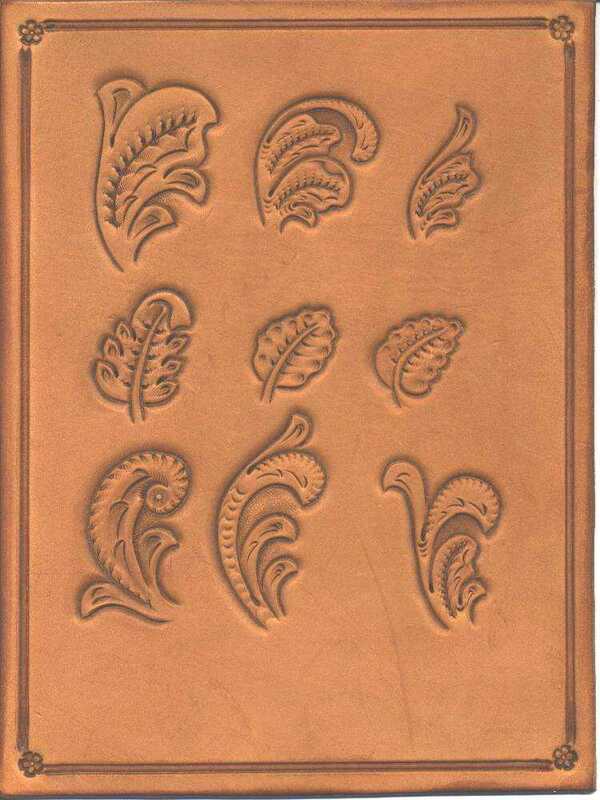 These example plates show the progression of the carving, for both Sheridan and Southwest or Traditional style, starting with the basic tools and ending with some other styles of leaves and scrolls. 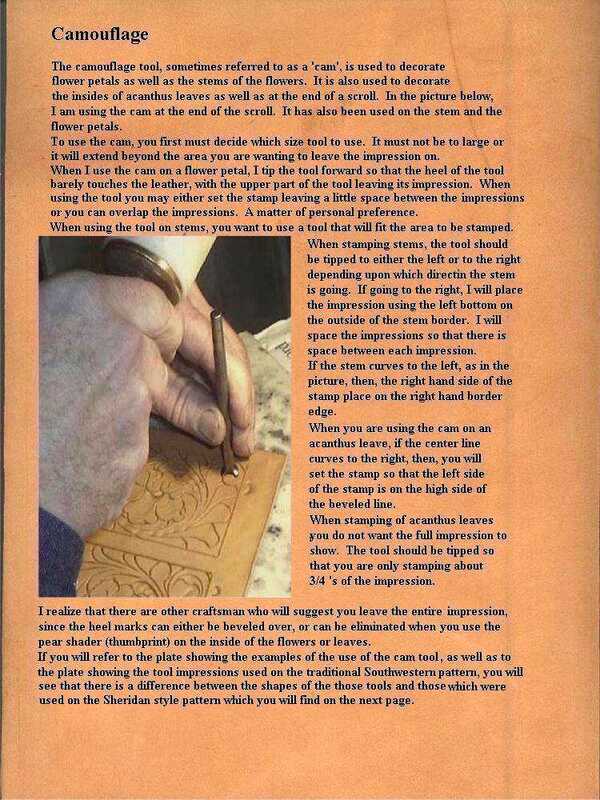 In each step the tool impressions that would normally be there from the previous steps have been eliminated for instructional clarity. 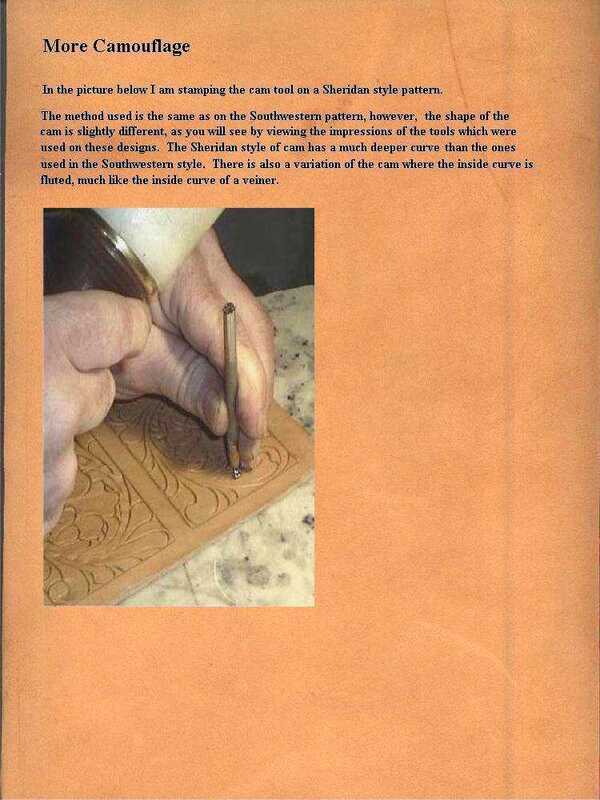 Getting that classic Sheridan Style finish.